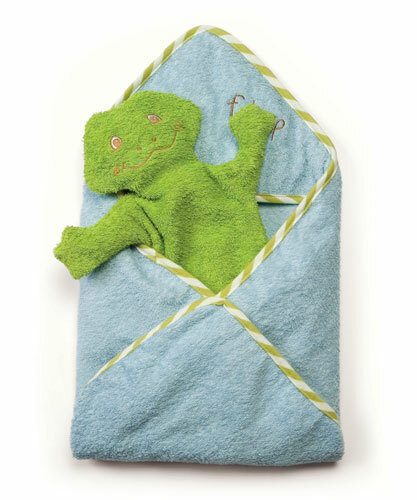 Design Notes: Little boy blue terry towel is complimented by coordinating green stripe piping. Tadbit hand mitt in froggy green is happy to wash between the croaks. 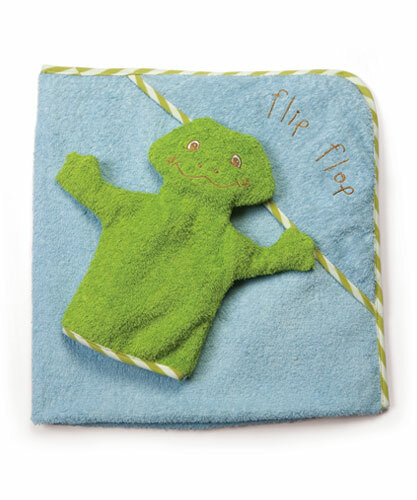 Embroidered wit: ¡§Flip Flop.¡¨ Machine wash & dry. Size 30"x30"